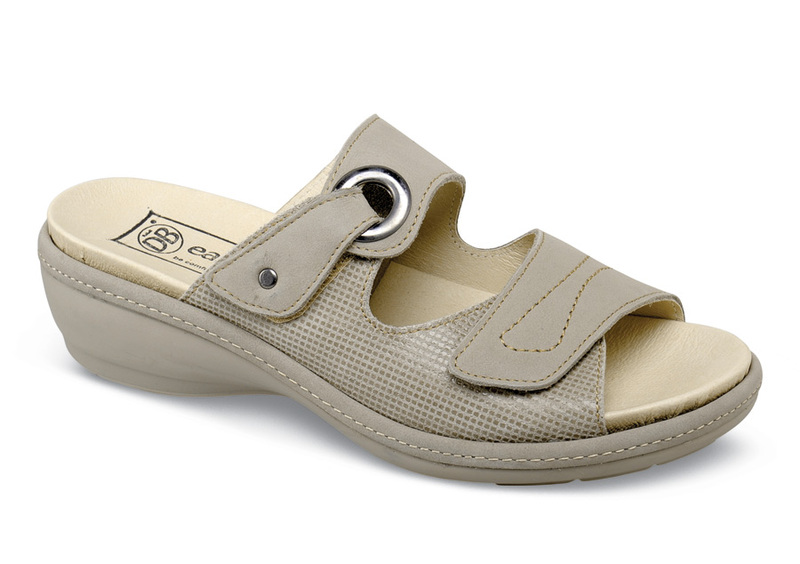 Slide into the beige “Mimi,” a wide and wonderful backless sandal from easyB of England. Soft, self-securing leather-lined straps are adjustable. Its leather-wrapped molded insole that may be removed to accommodate orthotics. 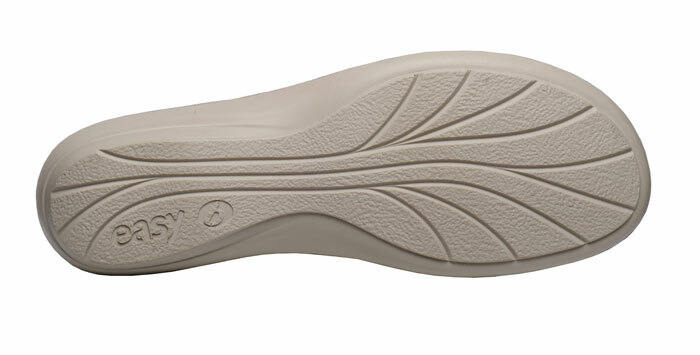 The flexible “air comfort” outsole has 1½” heel height. Originally $119.95. Made in Europe in U.K. women's sizes equivalent to U.S. whole sizes 5 to 11 in variable 2V width (fits 2E to 4E) and 6V width (for 6E and wider). Limited stock; see pulldown for available sizes.